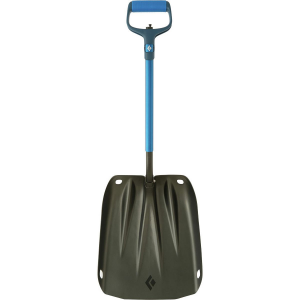 Whether you need to move snow in a hurry or dig out a perfect pit, the Black Diamond Evac 7 Shovel will get the job done. 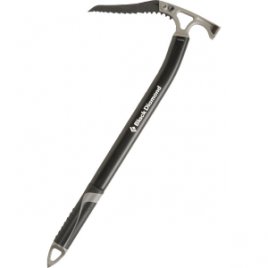 Black Diamond’s top-of-the-line shovel, the Evac is made of rugged aluminum, with a telescoping handle and ergonomic D-grip handle to help you dig quickly and powerfully without taking up too much room in your pack. 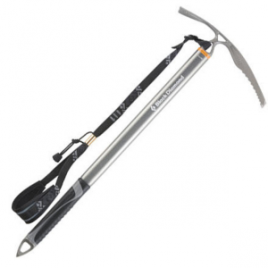 The Evac also converts quickly into hoe mode, so you can move large amounts of snow on steep slopes, and the blade has a flat-bottom profile that makes it easy to get flat and square walls in your snow pits.